There are covert groups in nearly every city and town in this country that target innocent Americans for harassment and torture. 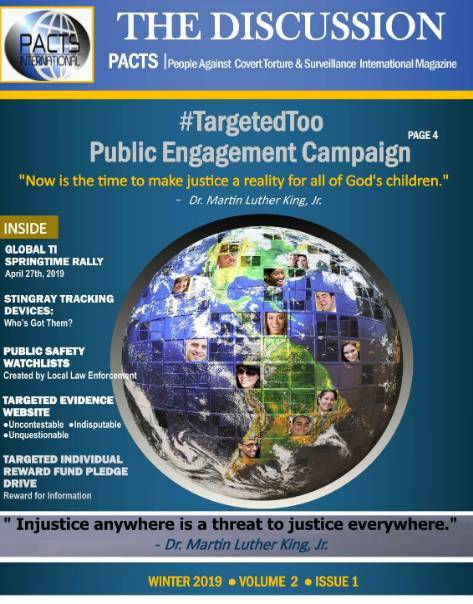 PACTS, Internatinal is a 501 (c)3, non-profit organization dedicated to assisting targeted individuals dealing with covert, organized stalking and remote electronic assaults, also known as electronic harassment. 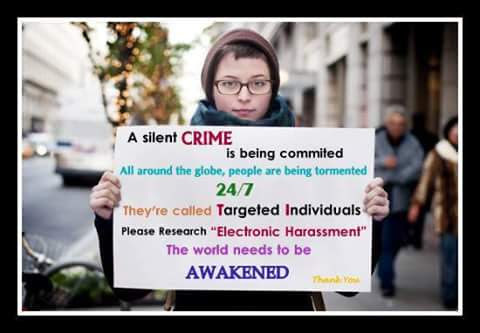 Electronic harassment refers to the use of radio frequencies and other methods to remotely access a person's mind and/or body to gain control of the individual or group of persons. Our goal is to work together towards freedom for all people, nationally and internationally from harassment and interference in our lives implemented by perpetrators of covert criminal activity. Our membership is $25. Please click the Donate button above to enter your membership donation. 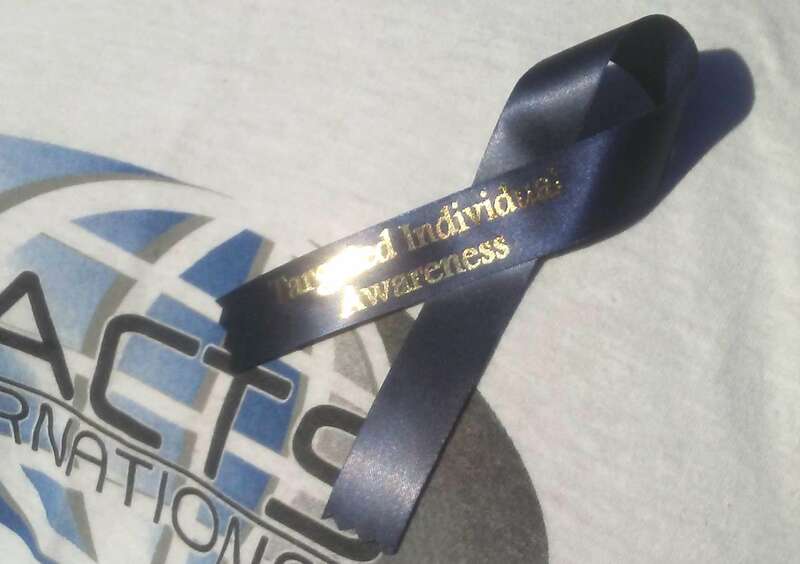 Targeted Individual Awareness Ribbons are now on sale!